At the Fence: Mike and Ike Have Split! How is everyone? It has been pretty hot here lately. It is so neat to be able to watch our deck being built. It looks great! 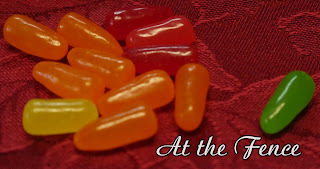 I do have some other news for you - Mike and Ike Candy have Split! You can get more information and enter on the Mike and Ike Facebook Page. My family was amazed to hear the news! 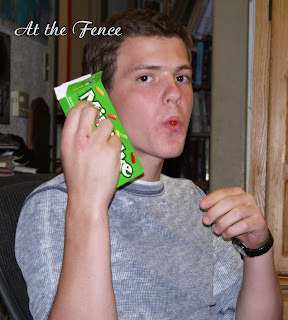 My brothers and little sister especially have always enjoyed Mike and Ike Candy. As soon as these came in they were all trying to steal them! We finally decided to take a couple pictures and then we all snacked on them! Here is some information about Mike and Ike ... "MIKE AND IKE® candy, with varieties such as Original Fruits, Tropical Typhoon®, Berry Blast®, RedRageous!™ and others, will continue to be offered at all retailers. Consumers will see no changes in flavors or distribution. The independent and talented duo have decided to follow their true passions. Mike is a musician at heart, currently producing a CD; Ike is an urban artist and a lover of art. Their split is not unlike that of other famous celebrity duos like Simon and Garfunkel or Lennon and McCartney. 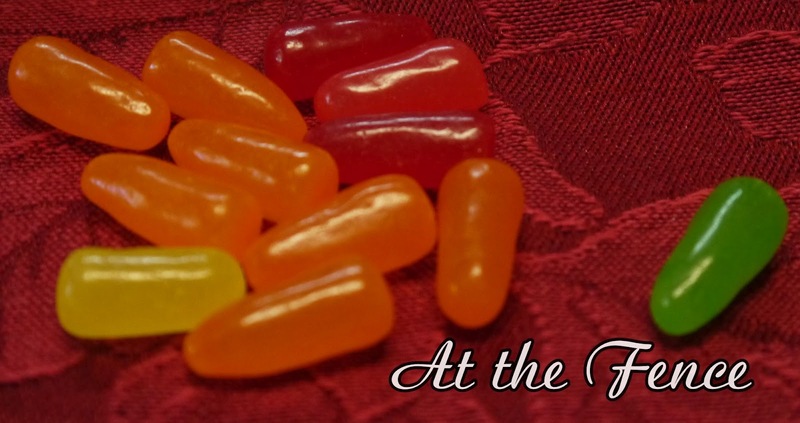 “People of all ages love MIKE AND IKE® and we are reassuring fans and our retail partners that our famous fruit-chewy candies will continue to be produced and sold as we get this resolved,” says Matt Pye, VP of Marketing for Just Born."